Allergic phenomena in quantity tends to increase even when the level of public understanding about the cleanliness increasing. Incidence of allergies has mostly experienced by people living in urban areas / cities. In medicine, known as a statement, more hygiene more allergic, which implies that the better the level of public sanitation, the greater the possibility of allergies. Allergy is a type I hypersensitivity reaction, in which the body's immune system responds to incoming antigens (allergens factors, eg dust, certain foods) and has been previously recognized in excess. Type I hypersensitivity reactions are also known as fast-type hypersensitivity reactions. Once antigen entry, the response appears to happen very quickly. Allergic responses may include hives, blisters, watery eyes, shortness of breath up. Allergic response is sometimes quite alarming parents. Incidence of allergies is the individual. Incidence of allergies can be affected by several factors, heredity contributes suspected allergic events someone. 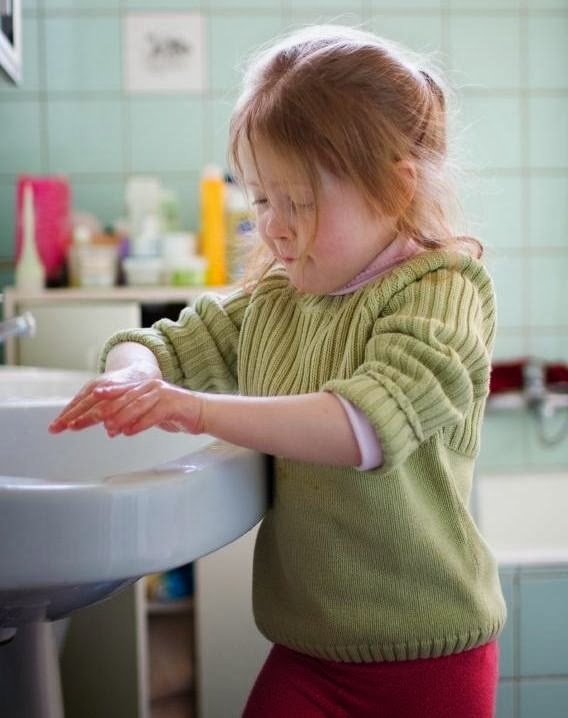 Usage antiseptic (soap, antiseptic liquid) in children was a thing that is thought to be the causes of the increasing incidence of allergies in children as well as children grow older. In biomolecular, children who grow up in a very hygienic environment will build defenses early in which component of T-helper lymphocytes II increased in number. The cells responsible for the body's response to antigens / bacteria that invade the body. In large amounts, these cells may be a determinant of the allergic response. However, in contrast to children who grow up in environments that are not guaranteed cleanliness, then the body will tend to build a system in which the levels of T-helper lymphocytes first increased. These cells are responsible as immunosuppressive cells that inhibit the action of T-helper lymphocytes II. As a result, children are not considered his hygiene (grown in a dirty environment), will be more prone to illness and growth restricted. Avoiding trigger factors is the best treatment for allergy sufferers. Through experience, a substance suspected as triggers as much as possible be avoided. For example: a child who is allergic to chicken meat should avoid eating chicken meat. Currently the medical world has also been facilitating people with allergy testing tests (skin prick test) to find out what ingredients are an allergen for someone. If there are family members who suffer from allergies, immediately consult a doctor and consult the nearest to know about management can be controlled so that the incidence of allergies and not getting worse. Hopefully the article Allergic Phenomena and Hygiene for Children useful for you.